This is the eleventh edition of the Carnival of Molecular Biology, a travelling goodie-bag dealing with all things small and cellular. When this carnival was first started up I must admit I had more of a hope than a certainty that enough people would be interested in the world of the small and cellular for it to continue, but we've passed the tenth edition, and it's still here! 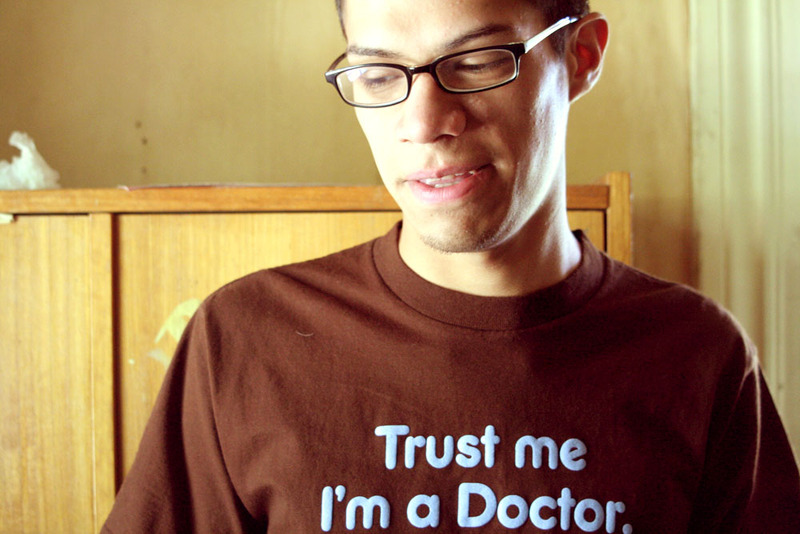 For this edition, we'll start off with the all important question, what actually is a biochemist? And is it significantly different to a chemical biologist? My reasoning on this is clear; a biochemist is a biologist who likes the chemical side of things, and a chemical biologist is a chemist who is fascinated with biology. They both may work in the same lab, but will have different training backgrounds and different ways of seeing the world. Chris Dieni gives a more thorough explanation of this over at BenchFly. Science works by experiment, which is why I'm happy that we have two posts this carnival covering experimental techniques used to explore the intracellular landscape. The Biotechnology blog takes us through the technique of 3-dimensional cellular arrays which build up a picture of the entire cell, rather than just using thin slices through the cell. 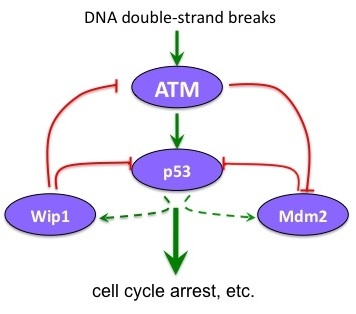 Psi Wavefunction goes deeper and looks at how to study the DNA within cells, and as she works with protists, it's some very strange DNA indeed. As well as biologists and chemists, engineers tend to get involved in this molecular-biology gig and when they do they almost inevitably start talking about lego. Lucas from Thoughtomics shows us how life can be thought of as lego blocks, and how planets with life on them could potentially be found, even if the life is not as we know it. Back in the realm of pure biochemistry is a brilliant post from It Takes 30 which explores how one pathway within the cell can lead to many different outcomes. It focusses on the pathways of p53, an unassuming little molecule that is one of the most important within the cell, as it responds to cellular DNA damage. Finally, we'll finish with a last post from Psi, which is part of a multi-post essay about constructive neutral evolution and is well worth reading. As someone who only dashes of quick little posts, it's great to read a well researched longer post, which goes into a good (and accessible!) coverage of an important topic. That's all for this edition! 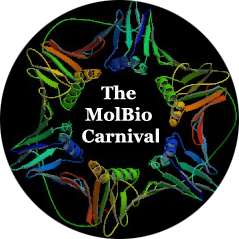 If you want to get involved (and I strongly recommend it, carnivals are interesting, great publicity, and also quite fun) submit any molecular-biology related posts here. The next edition will be at PHASED and the more posts it has, the bigger and better the carnival will be.